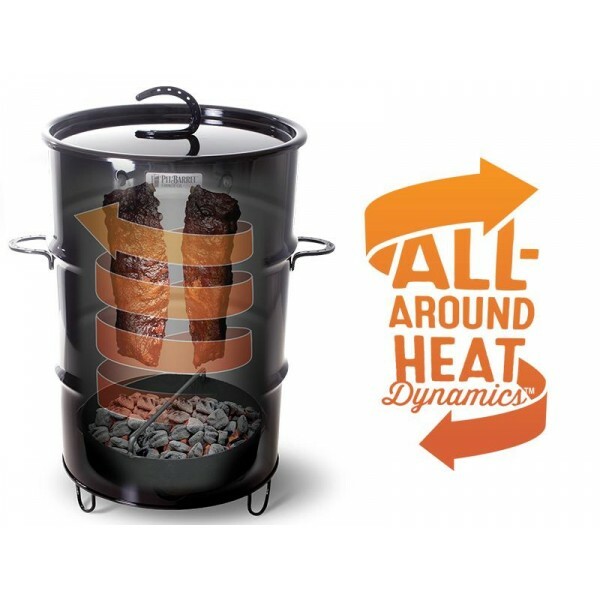 The Pit Barrel BBQ Package contains all you need to get cooking. Open the box and within 20 minutes you can be cooking stunning ribs, succulent chicken, or pulled pork to die for. The unique vertical meat-hanging method puts the food in the centre of the heat which allows for even set-it-and-forget-it cooking.